WARSAW, Poland — An airport worker drops by Warsaw's newest Ikea store during her lunch break to finish up plans for a home refurbishment. Around her, people drift in and out of the shop, placing small houseware items in big yellow bags as cafe tables fill up with people just stopping in for lunch. 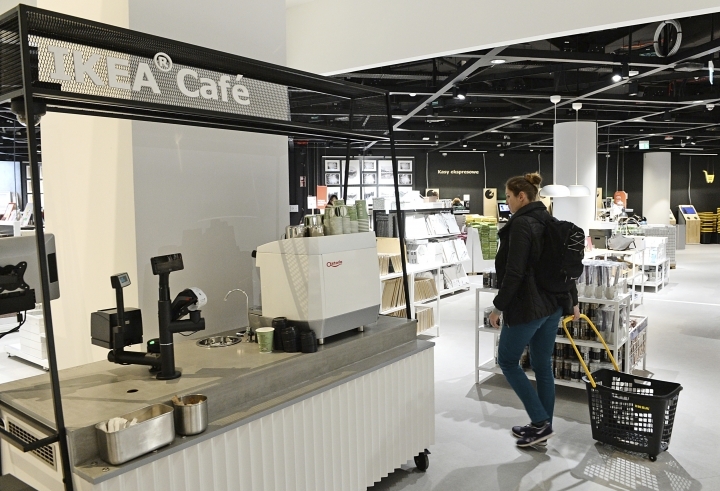 The store is not one of Ikea's out-of-the-way, maze-like warehouses that require a car to visit, but a shop like any other in a city center shopping mall. 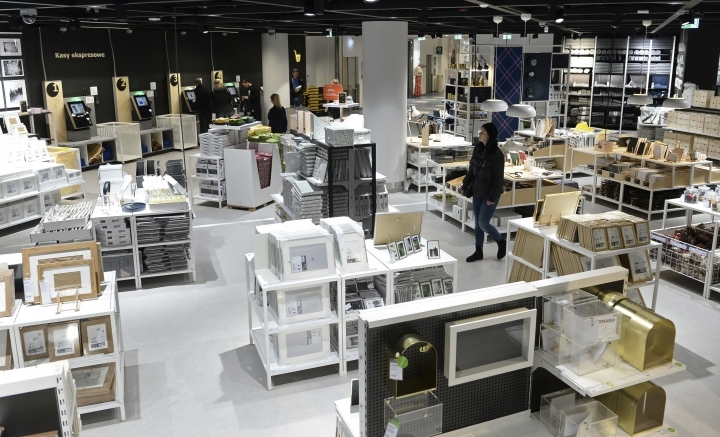 The Swedish retailing giant plans to open 30 such smaller stores in major cities around the world as part of a broader transformation to adapt to changing consumer habits. Compared with just a decade ago, shoppers are more likely to be living in urban areas and not have a car, and often want a nearby location to look at goods like furniture in person before ordering things online. "I like the idea because you can come any time," said 29-year-old Angelika Singh, the airport worker, as she finalized an order for a new kitchen. "Mostly when you go to Ikea you need to have a whole day free, or at least half a day free, because it's far." Warsaw's store is located on two floors covering nearly 5,000 square meters (54,000 square feet), about one-fourth of a traditional big-box store. Similar stores have also opened in major cities like London and Madrid and more are expected, with one due next year in Paris, among other locations. 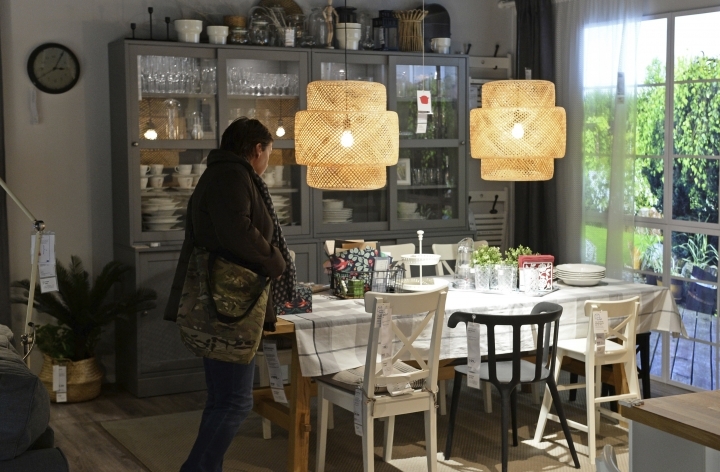 Shoppers can buy cushions, curtains and other home items. They can design the layout of bedrooms and kitchens at computer stations. But those hoping to buy a bookcase or bed will not find them stocked in a large warehouse, though they can order them at kiosks and have them delivered to their homes. As such, it offers a very different shopping experience from the usual visit to one of the large warehouse stores. 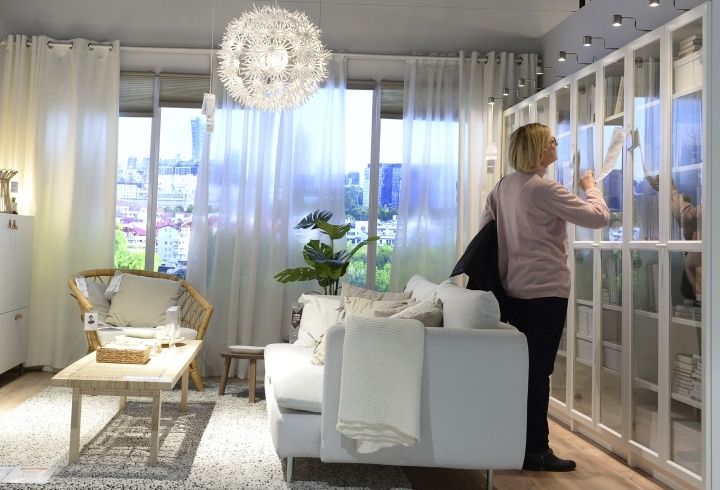 "Ikea's been doing pretty much the same for 70 years. It's been a cash-and-carry company, and it still is for the majority of its sales," said Andreas Flygare, the project manager for the Warsaw store. Now, he explained, the company must adapt to a consumer environment that has changed dramatically in the last 10 years. "You have companies like Amazon and Uber that are raising the bar for what is expected. Because if you can have same-day delivery, or an Uber is two minutes away, it influences other companies, like Ikea," he said in a recent interview in the store's cafe. "It can be a quite tough environment. Everything is changing so fast." The company, whose founder Ingvar Kamprad died in January, has seen business growth slow in recent years. But updating its business model to reinvigorate sales is not coming cheap. On Wednesday, it reported that its operating profit for the full year through August had dropped 26 percent to 2.25 billion euros ($2.55 billion) as it increased spending on the new stores as well as delivery services and its online offerings. 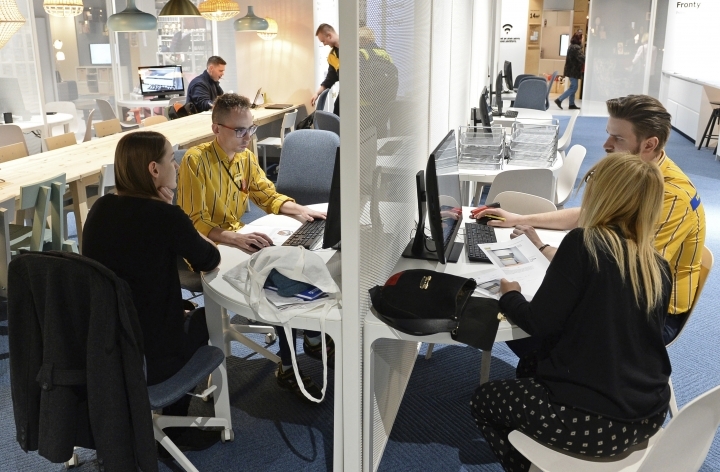 Thomas Slide, senior retail analyst at the market research firm Mintel, described Ikea's new approach as a rational response to a "global trend towards urban living and a rebirth of the cities." "While Ikea used to be able to build its big blue warehouses on the edge of towns and cities and expect shoppers to come to them, now it has recognized it needs to be more flexible in its approach and take the Ikea experience to them, through digital channels and smaller stores closer to where people live and work," Slide said. Ikea isn't the first to embrace such an approach. In the U.S., retailer Target has rolled out smaller stores to broaden its reach. French hardware store Leroy Merlin has done the same, as have Kingfisher-owned DIY store B&Q and sofa retailer DFS in Britain. "While Ikea may not be on the cutting edge of this trend, it's an important strategy to prepare the business for the future," Slide said. "The challenge will be adding extra services through additional channels while also maintaining profitability." 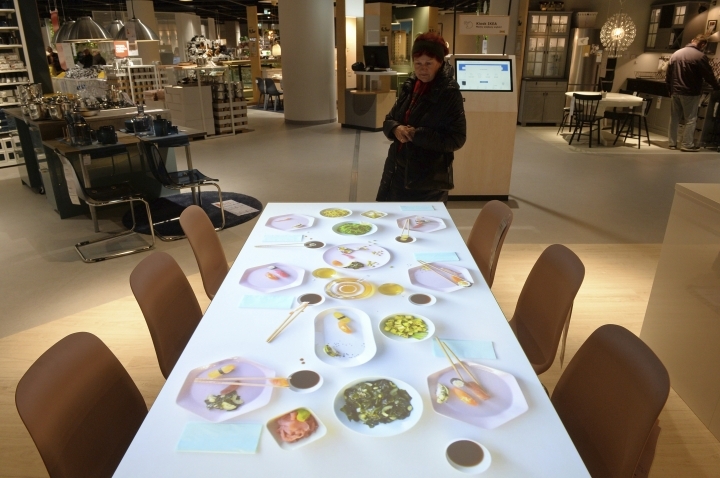 Chen Yu Ting, a 25-year-old from Taiwan who studies medicine in Warsaw, said it used to take him 40 minutes by bus to visit one of the large Ikea stores outside the city. But he is a short walk to the new store, and after an initial trip to buy pillows and bed sheets he now returns often for lunch, which is priced right for his budget. "It's more convenient, and now I just come here to eat," he said. His only complaint? The store doesn't stock frozen meatballs.